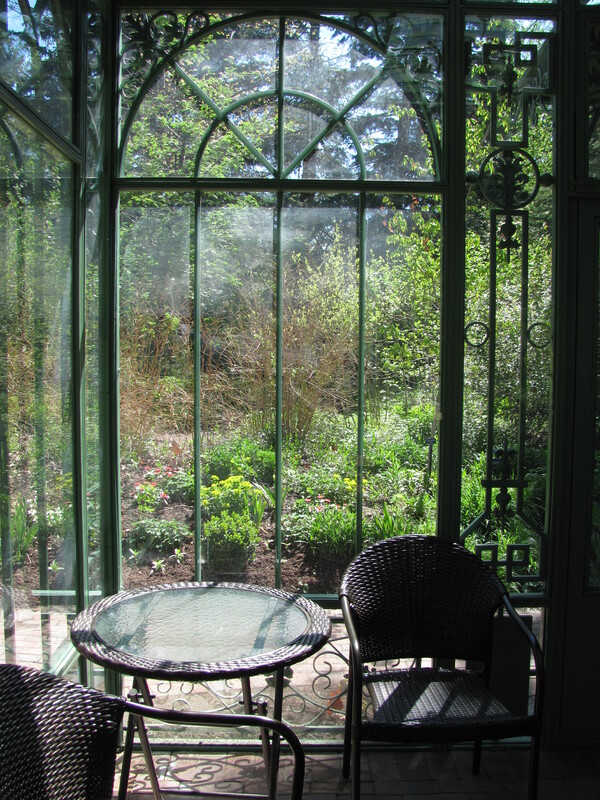 A greenhouse is tops on my gardening wish list. This one is at the Denver Botanic Gardens. Lately, I’ve been listening to what local gardeners want for Christmas. Most items on their gardening wish lists are, not surprisingly, utilitarian. Perhaps they are saving their flights of fancy for the spring seed catalogs. My gardening mentor, Kathy Shreve, told me tops on her list is a collapsible rain barrel—something that would need a fraction of the winter storage space as the large, plastic, 50-gallon, imitation wood variety. I had my digital elves do a search and they came up with the “Heaven and Earth Knockdown Rain Water Barrel.” Think mini portable swimming pool held up by sturdy poles, complete with a lid, leaf filter, plus connections for your gutter downspout and garden hose. While they may be listed by popular discount stores, try www.brookstone.com, a long-time home and garden supply company that offers them in five sizes, from 52 to 250 gallons. My longtime friend Florence Brown has been eyeing a pair of “Snip and Strip Rose Cutters” with which you can snip the stem and then pull it through a notch at the end of the blade to remove the thorns. Try Lee Valley Tools, www.leevalley.com. But if they are sold out, Santa should look for the “Professional Rose Thorn Stripper” at www.wildflower-seed.com. Susan Carlson, a friend of Florence’s, also has a sharp object on her wish list—long-handled bypass pruners. I couldn’t find any made by her favorite company, Wiss, but another Swiss maker of cutting tools, Felco, has many models. It can be aggravating to buy garden hand tools that don’t last more than a season or two, Bob Jansen told me. I agree. I’ve snapped cheap hand trowels while digging in our clayish soil and jammed or broken cheap hand pruners. What Bob wants is quality, which will save him time and money. Maybe he’d like one of the items on my list, a pair of Felco hand pruners, recommended by several people I’ve talked to. They are available through many sources, such as www.leevalley.com, but Felco also has its own website, www.felcostore.com. Each type of pruner can be repaired and sharpened. Felco also makes 13 kinds of loppers Susan could choose from, plus lots of information to help in selection. Prices for loppers run $80-$150, hand pruners, $30-$70. Bob also mentioned he’d like a strong back and younger knees. No problem. They can be hired. My friend Lila Howell shared her wish list and it really is a list: rain barrels, arborist ladder, new shovel, heat mats for seed starting, new wheelbarrow, plant markers, new hoe, new blade for pruning saw, and a hummingbird feeder. Many of these items are available locally, or through the catalogs I’ve already mentioned (even the hummingbird feeder), but the arborist ladder intrigued me. A ladder designed for use in maintaining trees is of a sturdier standing, three-legged design. Also known as an orchard ladder, it is available from companies such as http://www.sherrilltree.com, which cater to tree professionals. Who wouldn’t want to go with a product designed to keep professionals safe? The prices range from $250 to over $500. But they are still cheaper than the cherry picker Lila really wants. My birding friend, Donna Kassel, gardens with the birds in mind. She has many berry producing bushes to feed and shelter them, as well as feeders among her trees and perennial flower beds. Garden tools are not on her list, but garden whimsy is. We’re not talking about concrete bunnies. But Donna would like to add more garden lights. She has several solar-powered types, perfect for avoiding power cables and power bills. She’d love to have twinkling lights in one of her trees, but how does one charge solar lights hung in a shade tree? What really catches her fancy is a lighted, bird bath fountain. The first place my digital elves looked, the website, http://www.simplyfountains.com, popped up. They have scads of birdbaths with fountains, even one for $80 that runs on solar energy. Many of them are of classical Victorian/Italianate design sometimes decorated with little birds. None of the birdbath fountains seemed to have lights, but there were many lighted, outdoor fountains. One, made of faux stone, has recirculating water pouring between four levels of pools. I’m sure birds would be attracted to the moving water for a drink. The pools might be big enough for baths as well. It’s a bit pricy at $350 (regularly $500), but maybe some clever elves in Donna’s family could build one for her. 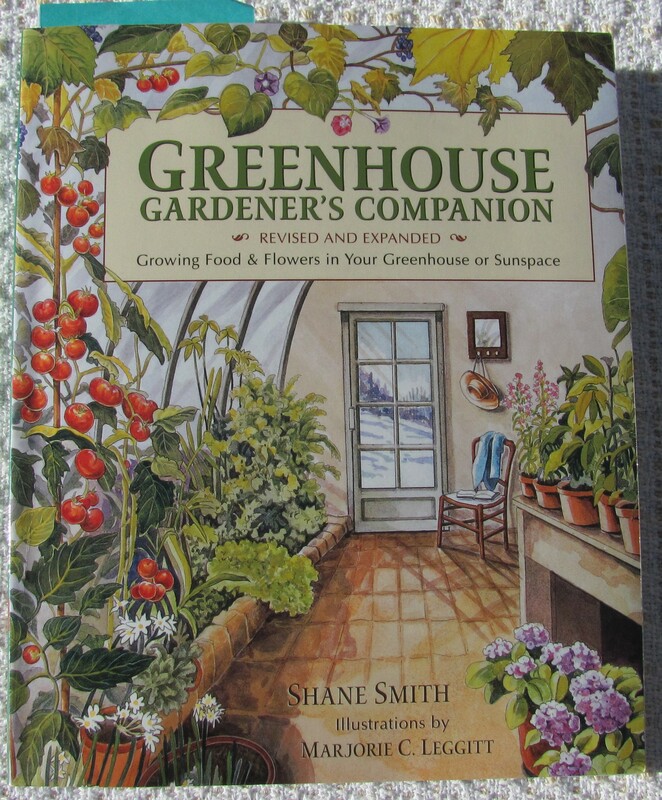 Reading Shane Smith’s “Greenhouse Gardener’s Companion” is a must before acquiring a greenhouse. More than one gardener, including me, has a greenhouse on their wish list. I keep seeing advertising in garden magazines for Hartley Botanic, an English company, http://www.hartley-botanic.com. Their largest, non-custom greenhouse is the “Victorian Grand Manor,” measuring 13 feet wide by 13 high by 36 long. It would fit nicely, but no price is listed, not even the calculations for shipping. As they say, “If you have to ask, you can’t afford it,” much less afford to replace the glass after each of our hailstorms. Reading Cheyenne Botanic Gardens director Shane Smith’s “Greenhouse Gardener’s Companion” would be the first step if I get serious about finding a greenhouse suitable for Cheyenne, or anywhere else. But Santa, I’d settle for a promise of perfect growing weather in 2014. Categories: Gardener's wish list | Tags: arborist ladder, collapsible rain barrel, Felco loppers, Felco pruners, garden fountains, garden lights, greenhouses Lee Valley Tools, Hartley Botanic, Shane Smith, thorn stripper | Permalink.